What did the Cossacks eat after battle? Here are some recipes that still get the blood pumping to this day. In the early 20th century, the Don Cossacks numbered more than 1.5 million, consisting mainly of Russians, Ukrainians, and peoples of the North Caucasus. Today, only around 68,000 people in Russia call themselves Cossacks (according to the 2010 census). Most reside in the south, primarily the Rostov and Volgograd regions. The historical Cossacks were born warriors. During military campaigns in various lands, they became acquainted with both European and eastern traditions, including the culture of feasting. This largely explains the variety of recipes of Cossack cuisine. Here are the pick of the bunch. 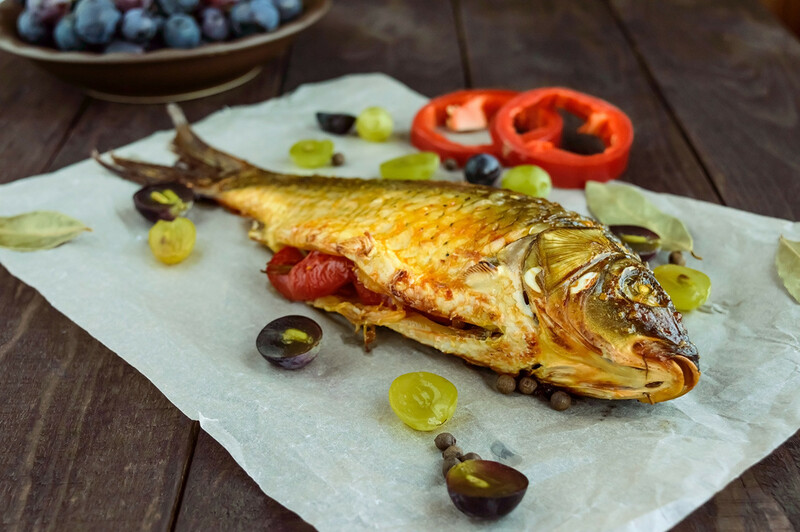 Many Cossack communities were located near rivers, so fish was a dietary staple. One of the largest Cossack settlements on the Lower Don was Elizavetinskaya village, which has preserved a recipe for tomato ukha that even Tsar Nicholas II is said to have appreciated during a visit to these parts. To make the soup, put the gutted and chopped fish (carp is a good choice) into cold water together with 2-3 chopped potatoes, 1 onion, and 3 tomatoes. Add spices and boil. 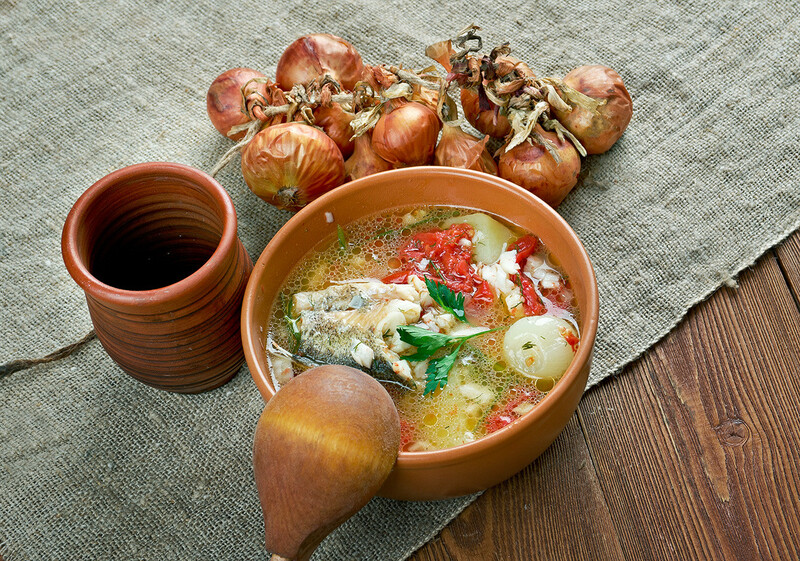 Place the pieces of boiled fish on a dish and pour on the broth with bitter pepper, garlic, and salt. The broth with vegetables is served separately. 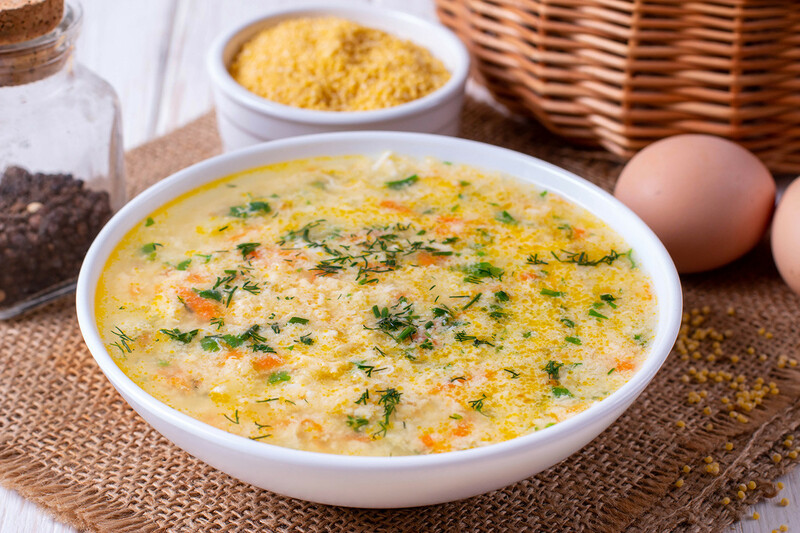 Kulesh is a liquid stew with millet and other ingredients and was a very common military dish. Cossack kulesh was rather thick with the consistency of ordinary porridge. It was cooked during military campaigns when no stationary kitchen was to hand. To make fish kulesh, boil the washed millet for 10 minutes. Boil the fish separately (pikeperch will do). Cut the fish into small pieces. Add the fish pieces, onion fried in vegetable oil, and greens to the millet and mix thoroughly. 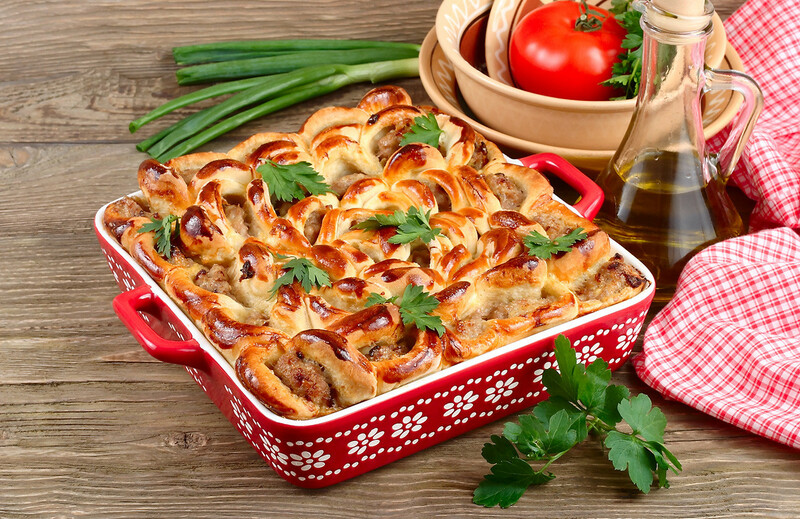 Pieces of pork, beef, or lamb (300-400 g each) are stuffed with garlic and baked in the oven until cooked. Next, the meat is cut into layers 1 cm thick and laid out on rolled-out dough. Place sliced ​​tomatoes on top, followed by onion fried in oil, and fold the dough over in the form of a crown. Oven-bake the pie until ready. To make this dish, you will need fish with caviar. Bream or carp can be used. The fish should be washed and gutted. Take the caviar and mix with semi-cooked rice or millet. Soak the fish carcass in white wine for an hour, then stuff with the caviar and rice/millet mixture before placing in a deep pan. Pour over sunflower oil, plus fried onions and the fish stock. Stew and add salt and spices to taste. 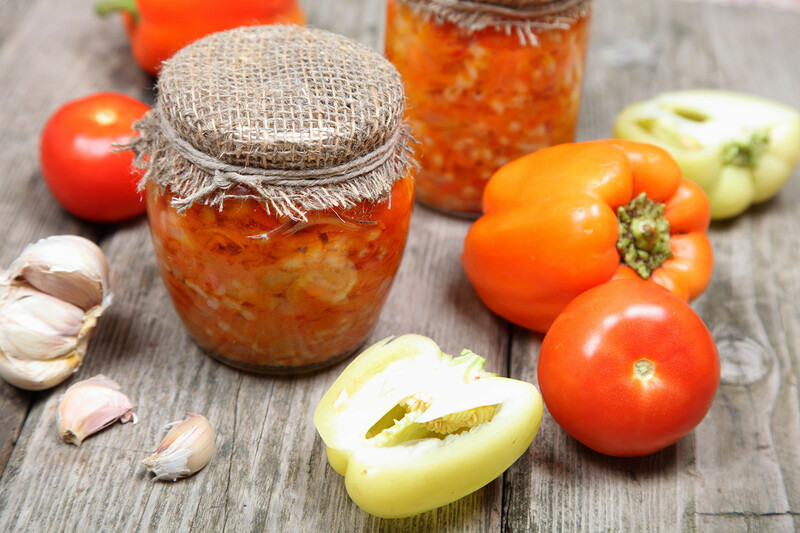 Place 3 Bulgarian peppers in a jar, together with half a bitter pepper, 3 tomatoes, three cloves of garlic, a sprig of dill, tarragon, and bay leaf. Boil some tomato juice and pour in the veg mixture. Cover tightly with a lid and pasteurize for 10-15 minutes. This vegetable specialty is served as an appetizer to meat and fish dishes. One kilo of finely chopped pork, 150 g of salo, 2 cloves of garlic, 1 onion, and a little broth are mixed, and the resulting mixture is stuffed into a thin pork intestine tied at 20 cm intervals. 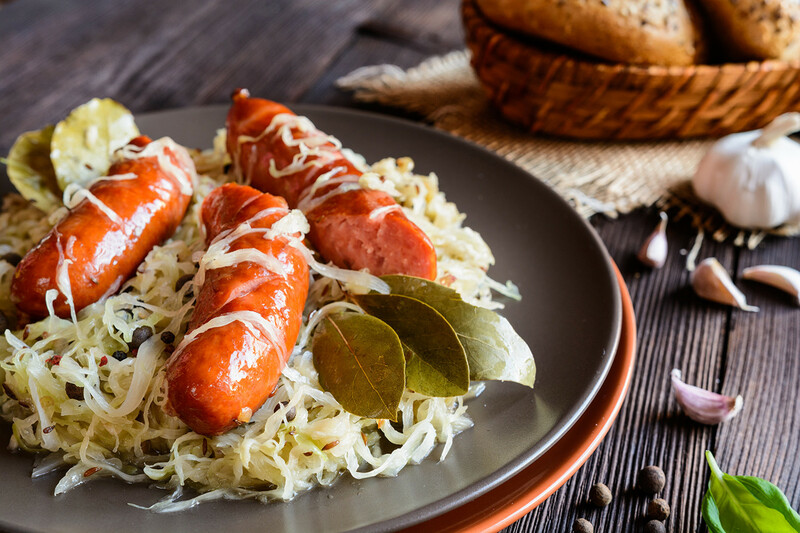 Boil the sausages in lightly salted water for 15 minutes, then fry in pork fat with sauerkraut. To make watermelon honey, squeeze the juice from the flesh of a ripe watermelon, having removed the seeds beforehand. Pour the watermelon juice into an enamel or copper bowl. Start heating and bring to the boil. Stirring constantly, cook on low heat until only 1/8-1/10 of the original volume remains. Store the “honey” in glass jars in a cool place. 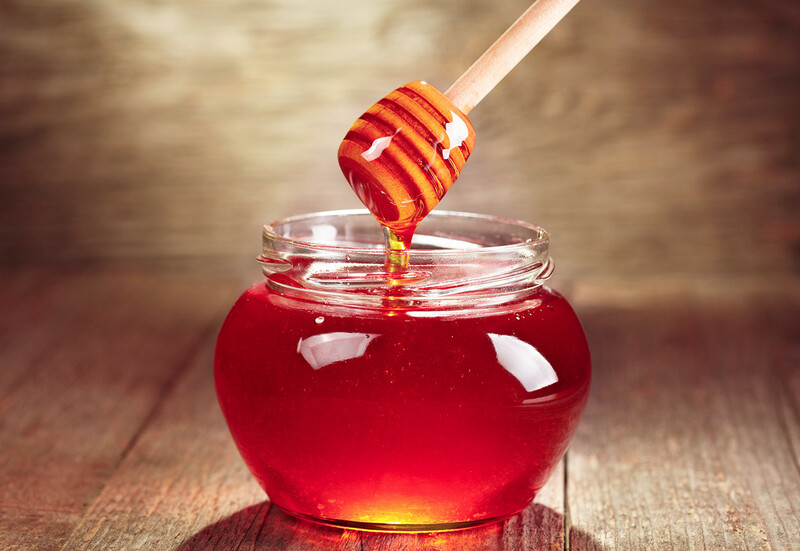 To 0.5 kg of preheated nardek (see above) or ordinary honey, add a tablespoon of soda and 750 g of flour. Knead the tough dough and leave at room temperature for 48 hours. After that, mix and roll into a layer, cut into shapes, and place on a baking sheet. 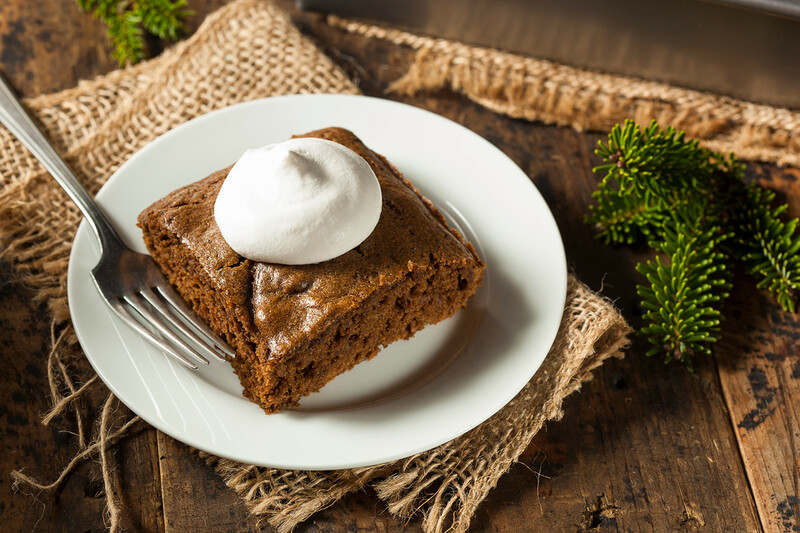 Smear the top of the cakes with whipped egg. Bake in the oven at 180 C for 20-25 minutes.